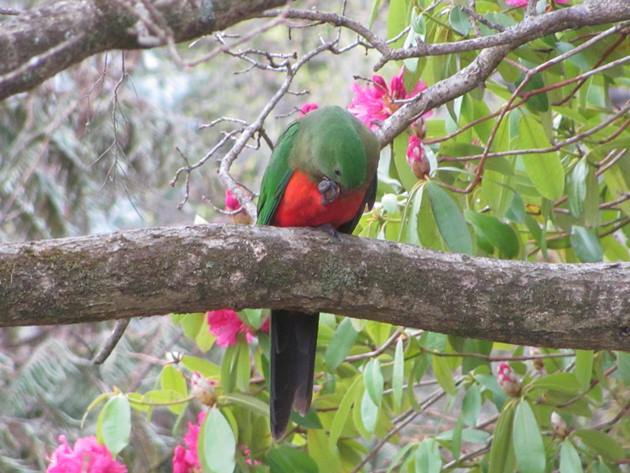 Australian King Parrots are found along the east coast of Australia and we have observed them on numerous trips to Sydney. 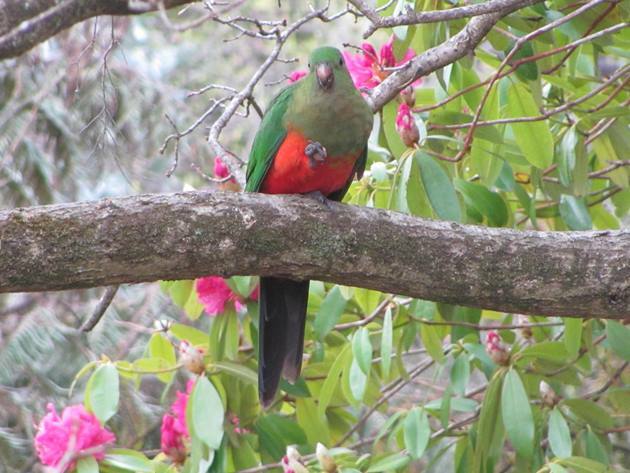 Despite their bright colour you don’t always notice Australian King Parrots in the trees if there are leaves on them. If there are no leaves on the trees, like in the header photo in the Blue Mountains in September, then they are easily observed. They are a large parrot and rarely fly above the tree line, but fly through the trees. We encountered then in Katoomba daily during the week that we were hiking in the Blue Mountains National Park. 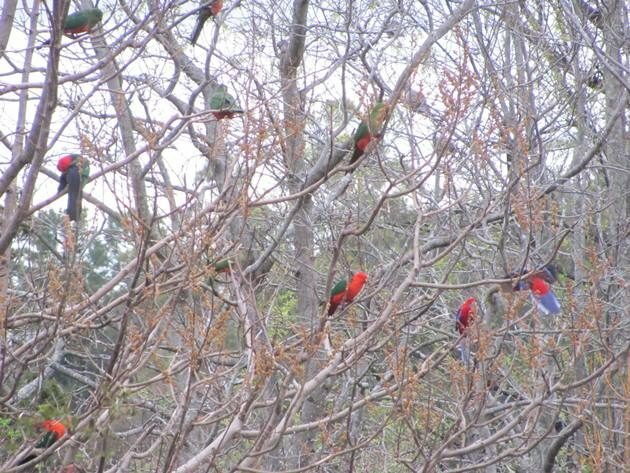 In the header photo the Australian King Parrots would often roost with Crimson Rosellas late in the afternoon close to a garden that appeared to often food for native birds. 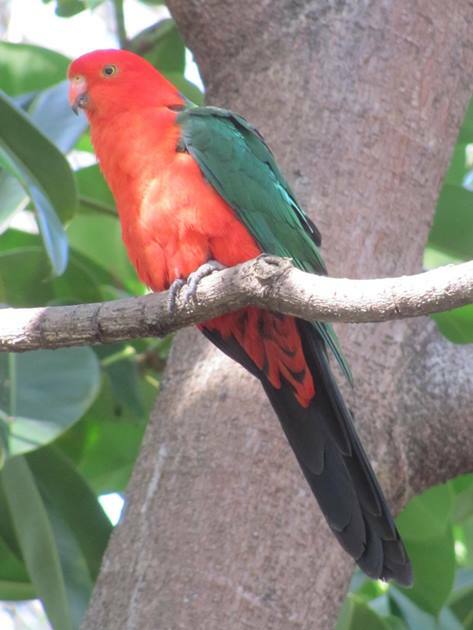 The male Australian King Parrot has a completely red head and is the only Australian Parrot with that feature. It is quite amazing how such a brightly coloured bird can be overlooked in among the trees, but somehow they can blend in and they are not always vocal. The female Australian King Parrot has a green head and breast and is also well camouflaged in the trees if they are covered in leaves. 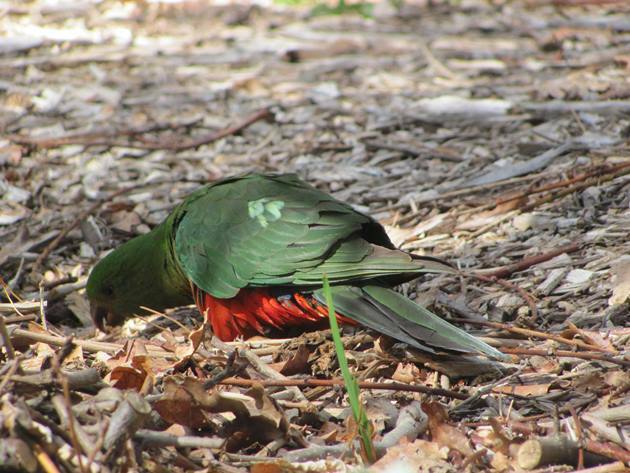 We often encountered Australian King Parrots foraging on the ground on the grass among the houses in Katoomba, but once they moved onto the mulched areas they became a lot more obvious. 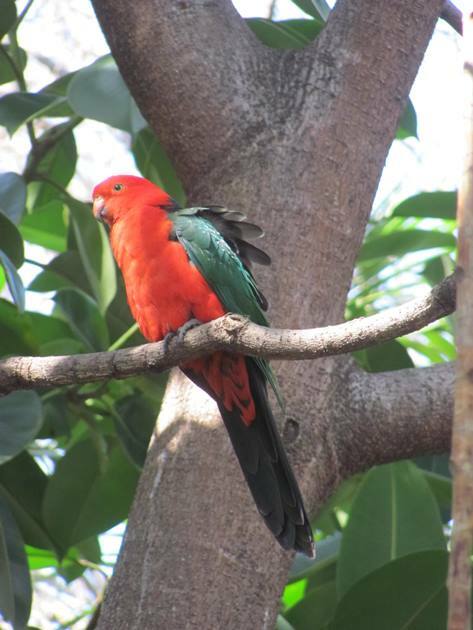 Colourful parrots are well represented in Australia and our local colourful parrot at home here in Broome is the Red-winged Parrot. 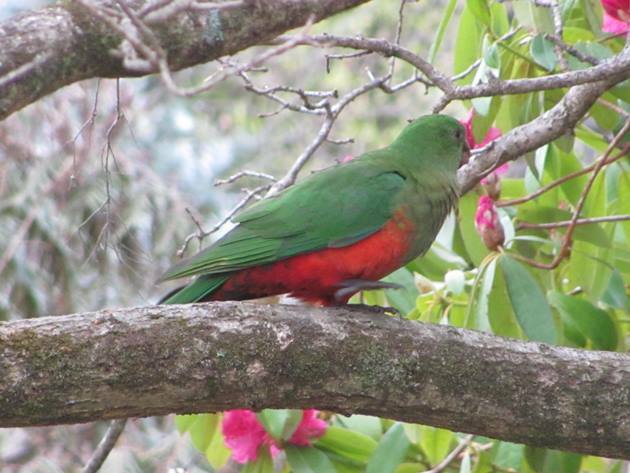 If you are birding in Australia then we have plenty of colourful birds to show you and the Australian King Parrot is just one of them! Clare and her husband, Grant, have lived permanently in Broome, Western Australia since 1999 after living in various outback locations around Western Australia and Darwin. She has lived in the Middle East and the United States and traveled extensively in Europe. She monitors Pied Oystercatchers breeding along a 23km stretch of Broome's coastline by bicycle and on foot. She chooses not to participate in social media, but rather wander off into the bush for peace and tranquility. Thankfully she can write posts in advance and get away from technology!